On Thursday morning at a quarter past ten, Joseph Kaye notices something odd about the kettle. Thus begins a remarkable day for Joseph – a day in which everything seems to change in peculiar ways. The washbasin grows feet, the armchair becomes a gorilla, and his bicycle wheel turns into an apple! Joseph’s father said when he left that morning that everything was going to change. But what did he mean? 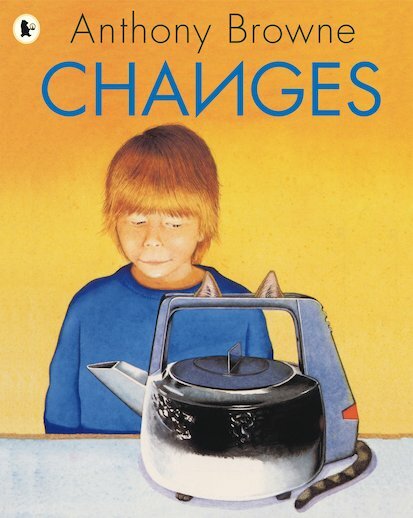 Written and illustrated by former Children’s Laureate Anthony Browne, this remarkable book explores a boy’s state of mind as he prepares for his parents to return with his new baby sister.